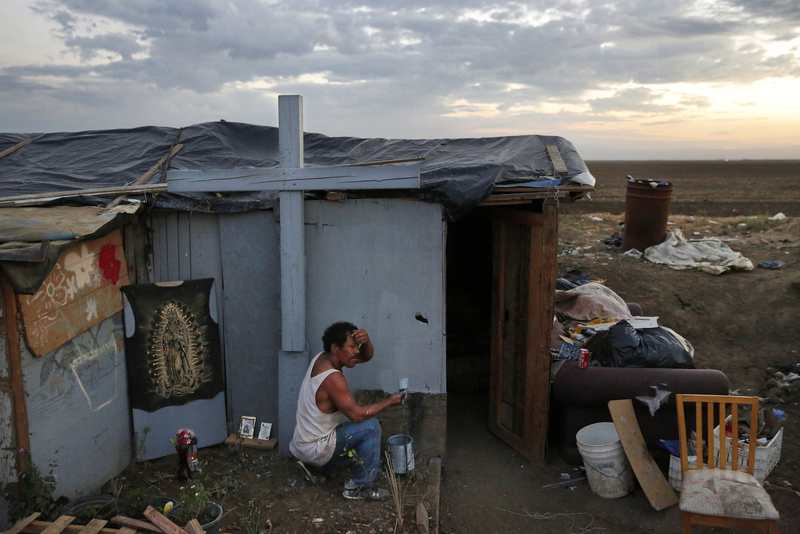 As evening falls in the shantytown, Edgar Torres Castro, 40, paints the outside of his home. Castro likes to save books from the trash and also plants various fruit trees around the encampment. He says that God told him to live out in the shantytown.